Professional quality Ultra-Microfiber cloth. Only our innovative tools allow you to use the best Ultra-Microfiber cloths for professional results. Ultra-Microfiber is seven times finer than basic Microfiber and the finer the fibers, the smaller the particle it can remove from the surface. Our recognizable pocket texture in the cloth picks up large dirt particles efficiently. Use these cloths in conjunction with Rekola Reflex Squeegee and Rekola Reflex extendable handle for all smooth and cleared hard top floors for hygienic cleaning results. A Rekola Reflex Ultra-Microfiber cloth weighs about 70 grams and is sufficient to clean the entire floor of a normal hospital 2 bed room. This leads to substantial savings on logistics and reduces laundry costs by up to 80% compared to standard flat mops as less detergent and water are required. The cloths are also more space efficient than mops so more cloths can be pre-prepared at the same time and take up less space on the trolley. The cleaner can spend more time cleaning and less time trafficking. Our cloths are also certified with the Swan Ecolabel. All smooth and sealed hard top floors for hygienic cleaning results. Ideally suitable for healthcare, nurseries, schools, universities, offices public buildings, food industry, hospitality, residential, pharmaceutical and cleanroom areas etc. Used In conjunction with Rekola Reflex 50 cm squeegee and Rekola Reflex 100/180 extendable handle. Using a 6 liter bucket or box with lid. Place the cloths in the bucket. Pour over the designated fluid. Cover with a lid and leave until cloths have charged. Alternatively charge cloths in a washing machine, by adapting the final spin cycle. Avoid overdosing, bleach and softeners. With clean water or diluted with chemical suitable for use with UMF according to manufacturer’s instructions. Please be aware that some chemicals may cause damage to user, material and environment. Depending on floor circumstances charge the cloths with 60-120 ml per cloth. Regardless the charging liquid: avoid overdosing. -low water level during processing or overloading washing machine (max a. 80% of door window) may cause irreversible damage to cloths. Rekola Reflex UMF Standard waffle cloths are made purely of synthetic materials. It can be used in recycling programs; alternatively because of their high energy value and zero emissions other than water and CO2 they can be safely disposed of by use of controlled energy-supply programs. 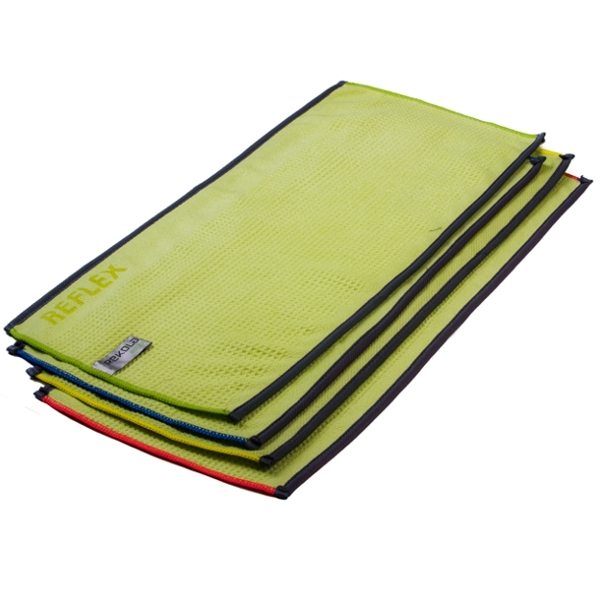 In conjunction with Rekola Reflex squeegee tool, dirty cloths are not touched when demounting. 500 times use and wash in general hygiene cleaning circumstances at a maintained non-safety sealed floor. Extended use of the cloth can be achieved with optimal laundry and cleaning conditions. Contact your distributor for details. Professional solutions for vertical, horizontal or dusting around corners. The Rekola Reflex Duster is a very handy tool for reaching high level or hard to reach surfaces. 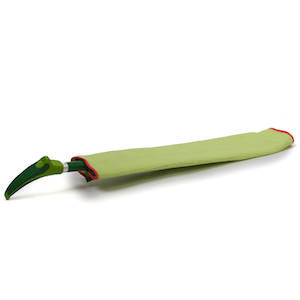 The flexible blade allows the user to bend the duster or put it to an angle for hard to reach areas. It is optimized if used in conjunction with Rekola Reflex Ultra-Microfiber and Abrasive Soft cloths. These cloths can be attached damp or dry. The Duster also has an exchangeable grip and fits to the Rekola Reflex Extendable handle. 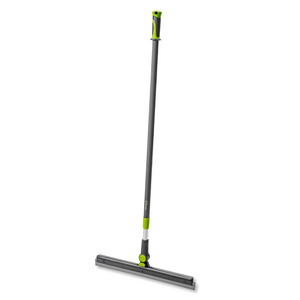 With the duster you can use the same cloths as used with the squeegee so there is no need to purchase additional cloths. The Rekola Reflex squeegee is a swiveled tool with a specially designed sliding channel and locking device for mounting the cloth to the squeegee. The tool cleans where the cloth and pressure of the squeegee come into contact on the floor surface leaving capacity for repositioning the squeegee backwards for more cleaning edges. This method cleans the floor while the remainder of the cloth behind the squeegee touches only clean surfaces.